Want to know where it’s snowing right now? Pahalgam, Jammu & Kashmir. 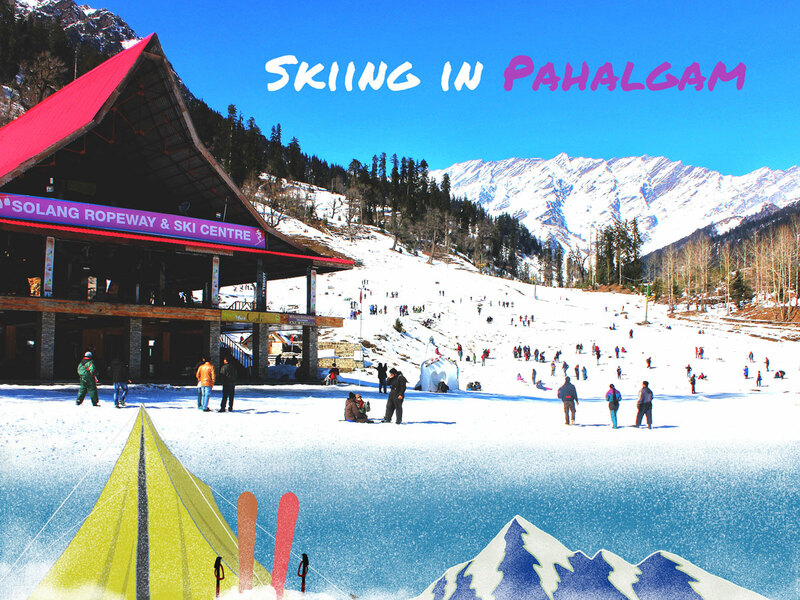 If you have an itch for going skiing, head straight to Pahalgam right away! And if you’ve never skied before, don’t worry, Pahalgam has a number of skiing schools that will get you slope-ready in no time. There are quite a few slopes nearby that are suitable for both beginners and trained skiers. And while you’re in Pahalgam, do take the time to visit Gulmarg and Sonmarg two of the most popular tourist spots in Kashmir. Although the peak season for skiing in Pahalgam is between January and March, given the fresh snow fall in the region this week, it might just be a great time to get away from the heat. If you’re looking to learn more about skiing in Kashmir, here and here are a couple of resources that you might find useful. Take a flight to Srinagar, then get a taxi or take a bus to Pahalgam. Pahalgam is a two-hour drive from Srinagar.